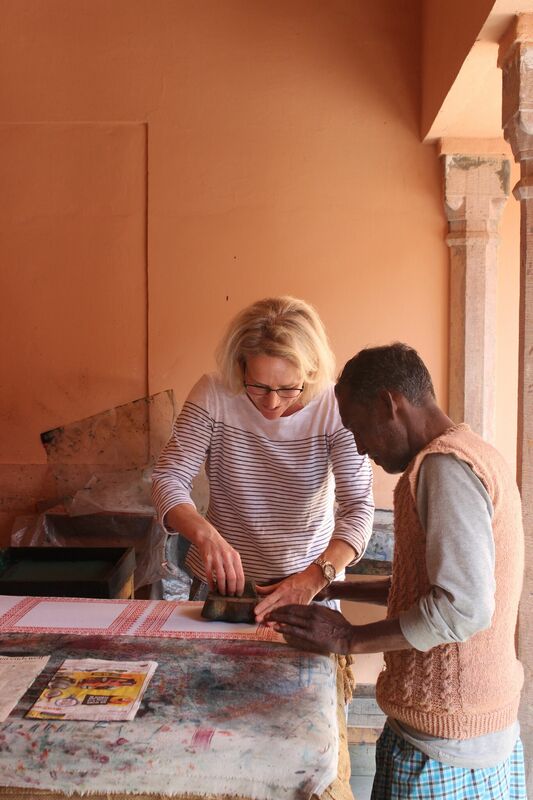 And ibbi co-founder Anna block printing too! 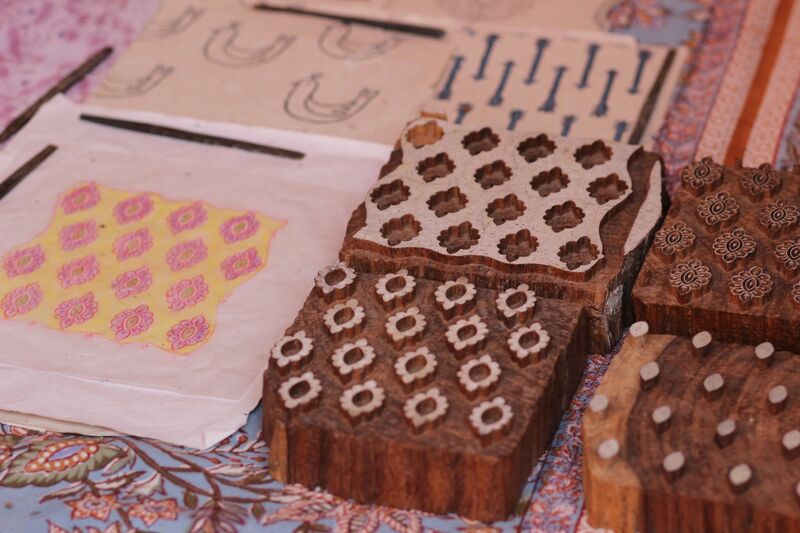 The process of block printing has been practiced in Rajasthan for over 500 years, introduced by the Chhipa community from the village of Bagru, an area now famous for its vegetable dye block printing. The physical Sheesham wooden blocks are meticulously carved by hand, with each colour in the design carved in a separate block. The outline block or the ‘rekh’ is usually the most intricate. Once the colours have been chosen and have been poured in to wooden trays, the process of stamping the pattern on to the stretched cotton fabric begins. Each colour pattern is stamped on to the fabric individually by the Printing Master and the tiny irregularities, the subtle gaps or overlaps are a beautiful reminder of the intricate process of creating this iconic product. 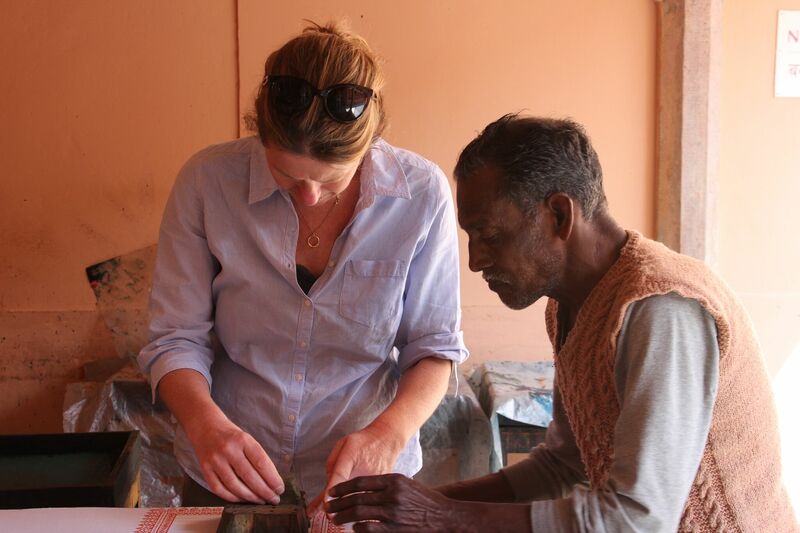 The block printing villages are renowned for the rhythmic ‘tock-tock’ sound of the wood blocks stamping patterns on to fabric. 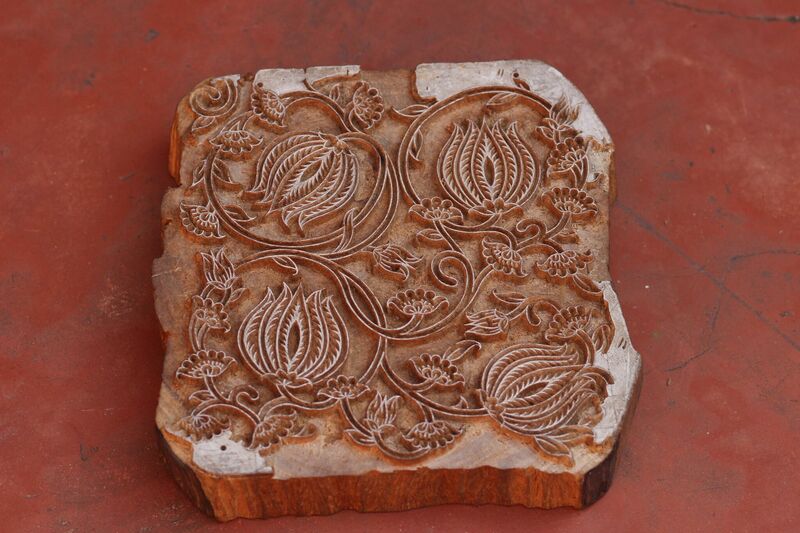 A wonderful reminder to all visitors of the significance of this stunning artisan work. 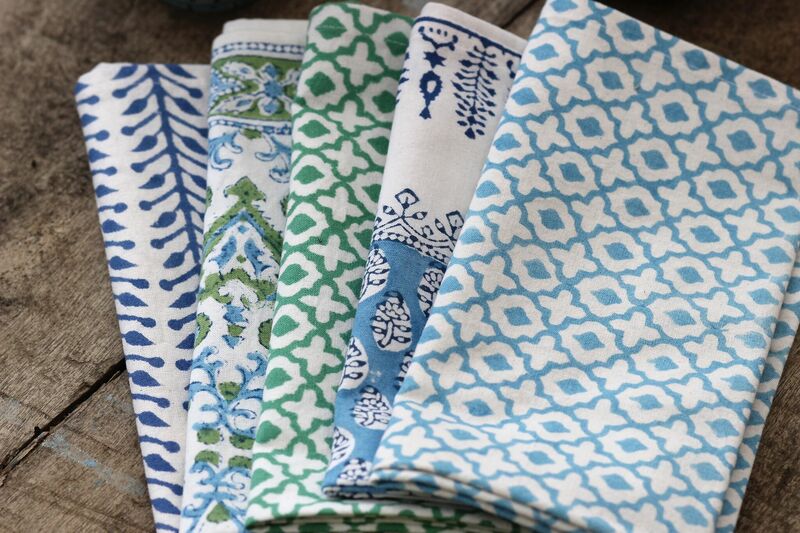 Our block printed napkins have arrived! Our thanks to Mehera Shaw for additional information. There’s already an Autumn chill in the air and don’t you think it’s a perfect time to be thinking about adding a touch more style, warmth and luxury to your bedroom space. 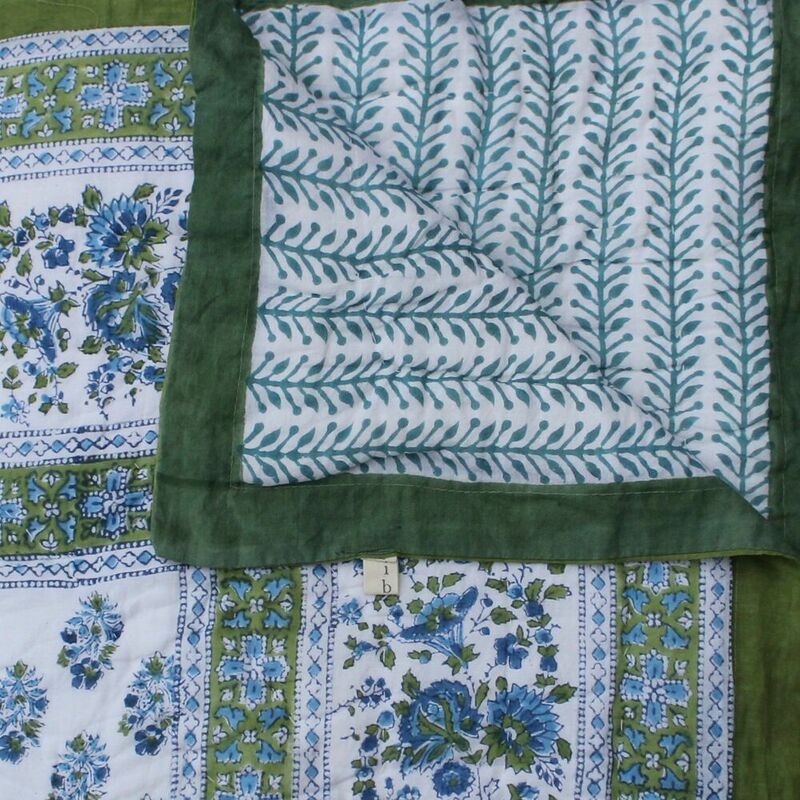 Our latest Indian block printed quilts are a perfect addition to throw on the bed when the temperature starts to fall and they look so pretty when layered with soft linens, crisp cottons or cosy knitted throws. Much as we love a splash of the vibrant, we think quilts should be rather soothing in colour but they look wonderful, scattered with colourful rich velvet and cool vintage kantha cushions. Happy styling.. and stay cosy! And if you’d like to learn more about the traditional art of block printing fabric, have a look at the info attached. We had such fun at our photo shoot last week (the spectacular autumnal sunshine couldn’t have arrived at a better time!) 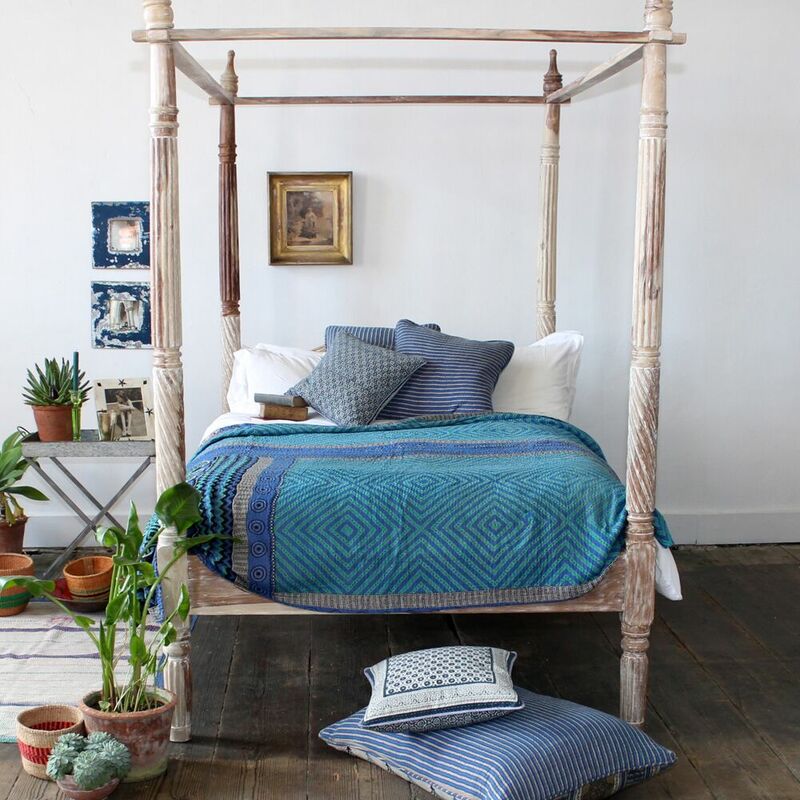 after our gorgeous, timeless four poster beds and our new vintage kantha collections arrived at ibbi HQ. 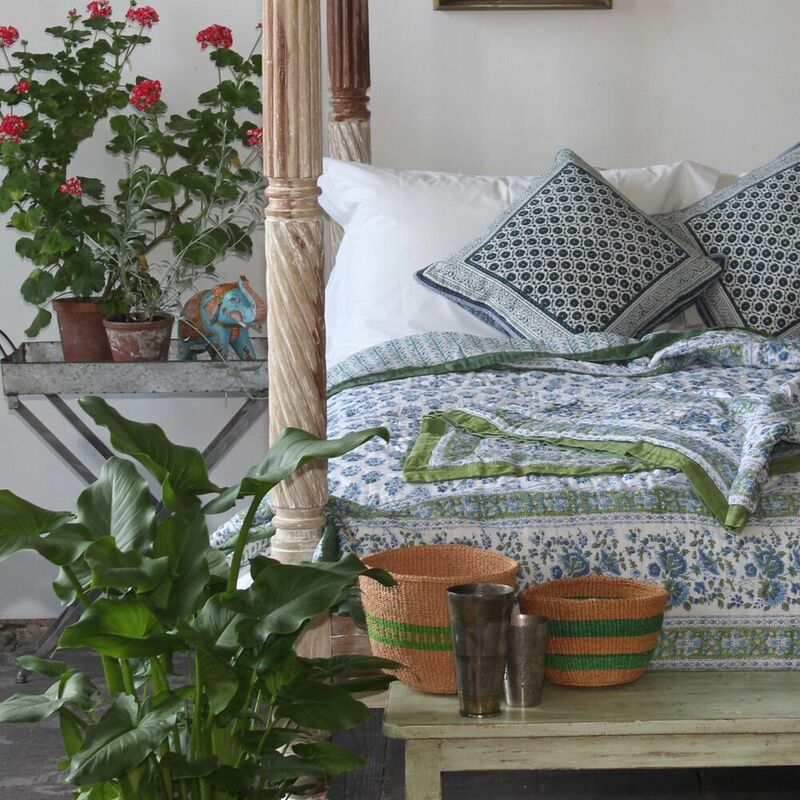 And as the block printed quilts, kantha throws and softest kantha bolsters and cushions were casually piled and strewn and draped across the bed, we suddenly realised that when it comes to patterns, you can simply never have enough! Our kantha throws and kantha accessories all have very different characters: some delicate, some bold. But all are beautiful and made with the utmost care: it’s good sometimes to add a splash of something unique to your home. It’s official. 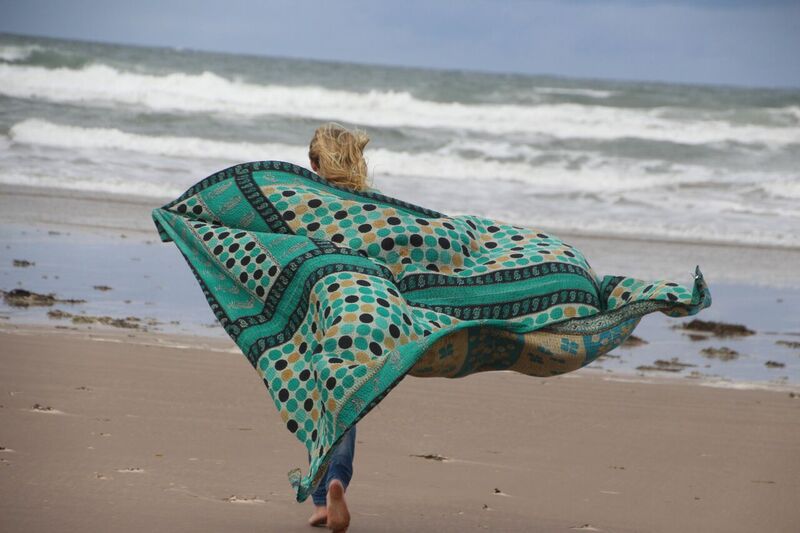 At ibbi we simply love kantha: a sumptuous throw made from layer upon layer of finest vintage Indian cotton sari and hand stitched together by talented artisans in West Bengal, to create a unique and sumptuous throw. 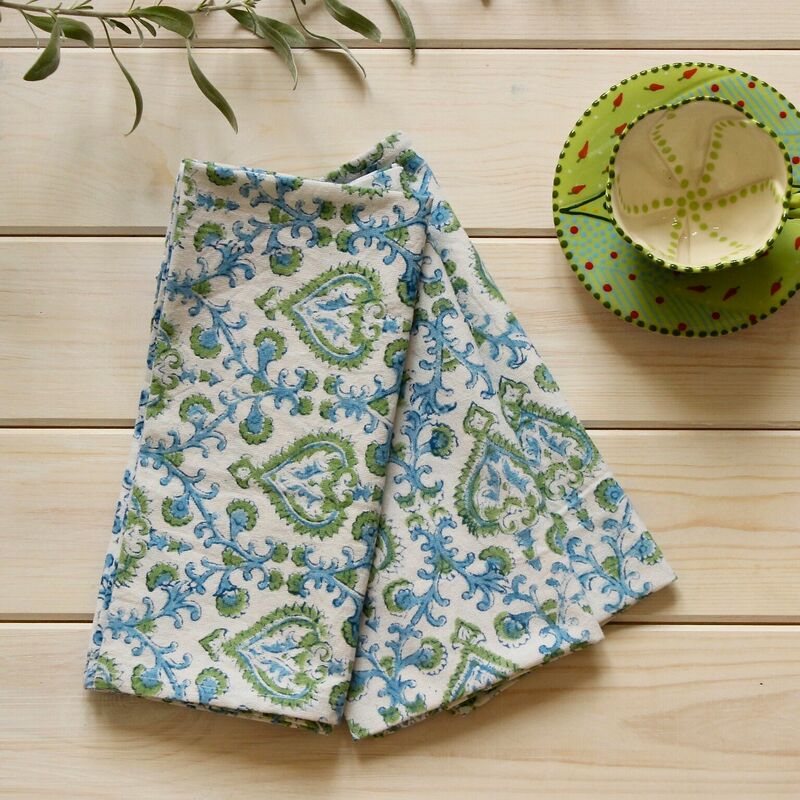 Kanthas make perfect picnic rugs and they’re great draped over sofas and stools. They’re delicious across the end of your bed too, if you’re looking for a unique and individual style. 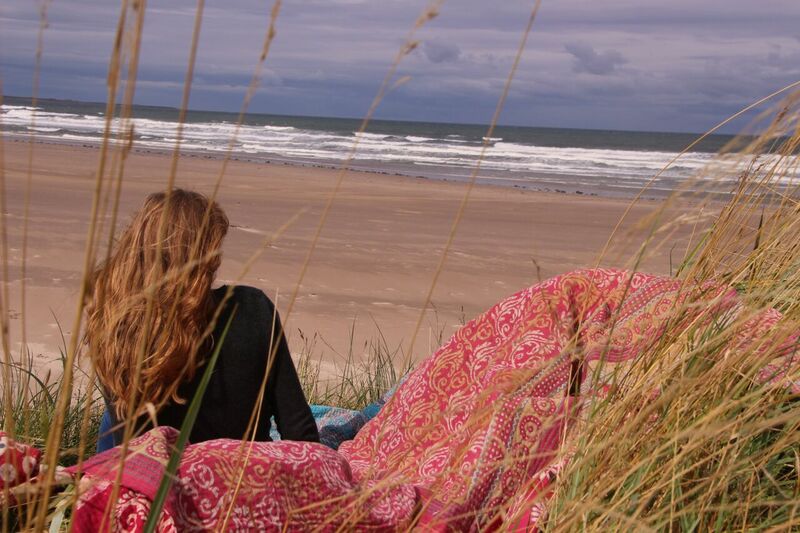 Today they’ve never looked better: here at our end of summer picnic on the divine deserted beaches of North Northumberland. Sam, Ella, Lucy and Lara: you did a great job! If you’re looking to get ready for the new university or school term, we have a fabulous collection of super soft hand block printed quilts which are perfect for all stylish sleep places. 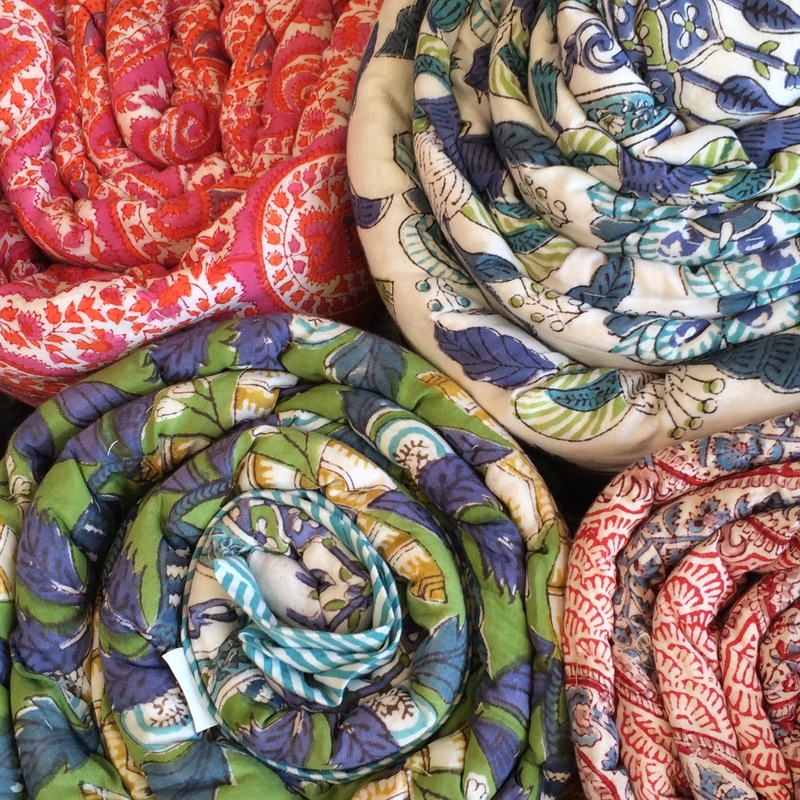 Smart and soft hues, the softest cotton and intricate hand block printing. Ban the beige. This is beautiful bedding!